My first piece of advice is to always remember that drivers are at the heart of the operation, regardless of whether you’re building your own fleet or using a third-party to help you manage deliveries. Companies often don’t realize that delivery drivers are an entirely new type of employee. They will require different skills and equipment to do their jobs including driver licenses, vehicles, smartphones, data plans, uniforms, etc. What’s more, they will be the face of your brand for many customers. To onboard and support them, be prepared to build a comprehensive training system which will make a big difference in their eventual performance. Your drivers are your brand’s ambassadors, so don’t forget to establish a code of conduct. Everything from the dress code to their smiles will make a huge impact in terms of the way your brand is experienced by customers. For many of them, the only human interaction they’ll ever have with your brand will be with the delivery drivers, so you need to invest in making this experience as positively memorable as possible. In order to scope the possible scale of a delivery operation, you first need to leverage your existing data. Having a good understanding of your existing flow will help you estimate the size of the fleet you need. Fleets evolve and grow over time so remember that once you get started, you’ll have access to additional data for future planning. Gathering additional data when you start deliveries, including idle hours in restaurants or the ratio of delayed orders, will help you adjust your fleet and improve as you expand. Restaurants also need to factor in operational implications such as physical space. You can calculate the increase in the volume of work required from the kitchen based on estimates of how many new orders you will need to handle. This can give you an idea regarding the space and staffing you’ll require. Finally, don’t forget that your delivery fleet will need parking space! Restaurants must ensure off-premise orders don't cause a bottleneck for on-premise customers. You can take a proactive or reactive approach to tackle the influx of new orders. One option is to increase capacity by using ‘quotes’ for slotting – by which the kitchen capacity and planned orders are checked by the system automatically before the customer can place a new order online. This means that delivery time may increase as some orders are put on hold and not handled immediately. The other option is to increase the size of the fleet in advance to accommodate capacity before it becomes a struggle, and using the drivers for other roles when they’re not busy with deliveries. For most chains, it ends up being a balancing act between both. Many of the traditional tasks of a dispatcher can be automated with the right technology, which enables restaurants to handle a ever growing number of orders. For example, at Bringg we developed auto-dispatching technology, which liberates restaurants from having a full-time dispatcher on site. Instead, drivers can take responsibility for packaging, or a designated coordinator can help putting orders together. However, it is important to have a designated staff member on-site which is available to handle ‘exceptions’ when something goes wrong. Creating an efficient pick up area is also critical to make deliveries work. This space needs to be well staged and designed so that it does not interfere with the work performed by the kitchen or counter staff. For example, one of our clients put all the cutlery, napkins and drinks in a separate area so drivers could do the packing themselves without disrupting the restaurant staff or getting in the way of cashier when all they need is a napkin. As trivial as it might sound, small ‘disruptions’ like these, which take place hundreds of times a day, can have a huge impact in overall efficiency. It can be daunting to think about the process of building up a delivery operation across an entire chain with a brand new fleet. The project’s success will be hugely impacted by the way in which the new operation is tested and rolled out across different branches and cities. Therefore, I recommend to start with your best people – the teams that are open to change and willing to experiment. Start by selecting between one and three branches to make the process manageable. Preferably, these branches should be in an area with medium population density to test deliveries – not too high, not too low. Having a controllable environment will make it easier to experiment all aspects of the operation, from support to training. Once the system has been tested and optimized in the first locations, the second stage is to rollout the delivery operation to a wider region, ideally with ten to twenty branches. This will enable you to manage the delivery operation while being forced to stop any manual processes due to sheer volume. Here you’ll really test the system, the team, and the entire ecosystem in the way in which it’s meant to be used. Once this milestone is completed and fully operational, you’ll be ready to fully scale by replicating your model across other cities and regions. You always need backup so it’s a good plan to think about utilizing external fleets when your in-house team can’t fulfill all the incoming orders. This strategy can also help you optimize your efficiency, cost and coverage. Using multiple external fleets will drive competition which leads to lower costs. In addition, it is a great way to cover a broader geographic area, especially if it turns out to be more difficult to hire in-house drivers in certain locations due to legal or supply issues. Some of our customers successfully combined in-house fleets with additional third-party fleets to complement their own when demand peaks or when they don’t have a fleet yet in some regions. 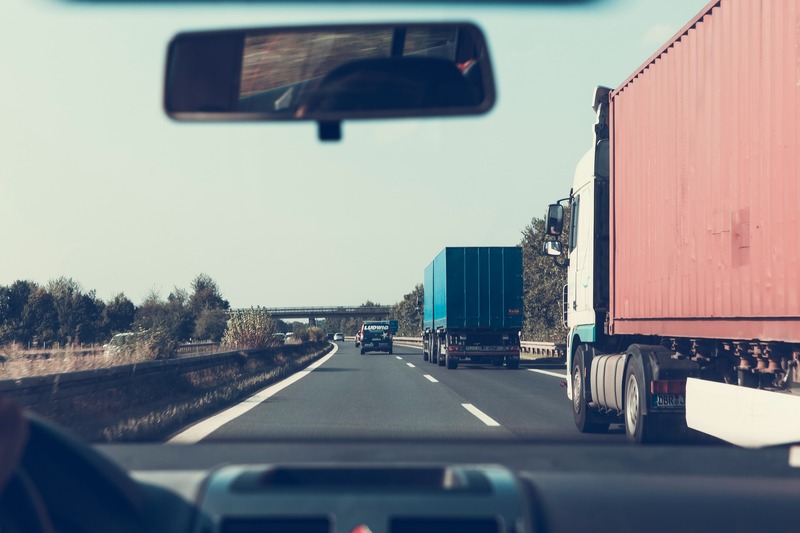 While managing orders between multiple fleets may seem difficult at the outset, we now have the technology required to connect all external fleets, automate the distribution of orders, and manage all deliveries in a unified way from a single dashboard. A seamless communication flow is one of the most complex things to coordinate, and is where good technology comes into play. For chains using Bringg’s platform for their delivery operations, for example, most of communications are automated, so that the staff only need to manually handle exceptions. With an automated flow, the driver receives a message for an upcoming order, and so does the kitchen. In addition, customers and staff members are fully aware of the status and location of their orders in real-time. This enormously simplifies the communication flow, in particular reducing the amount of calls to customer support, as well as calls between drivers and dispatchers just in order to get a status update. The food delivery process is a tight supply chain where multiple things can go wrong. It could be an internal issue such as a problem in the kitchen, or it could be something beyond your control such as traffic or bad weather causing delays. Because mishaps are bound to happen, some of our clients have taken a proactive approach when and if they have a frustrated customer. For example, one of our clients equips their drivers with ‘food treats’ to be used as customer gifts if there’s an issue with the order. This small gesture, and the immediacy of the gift has become a huge success showing customers the brand’s goodwill and the importance they place in delivering a great experience – even when it isn’t as smooth as expected. 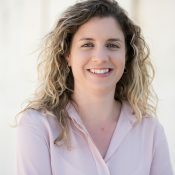 Hadar Barir is Product Manager at Bringg, the leading delivery logistics solution, providing enterprises with the most efficient way to manage their operations. She has extensive experience in designing and implementing technology solutions into complex logistics frameworks for some of the world’s leading restaurant and food delivery brands including Panera Bread in the US and JustEat across Europe and Canada.